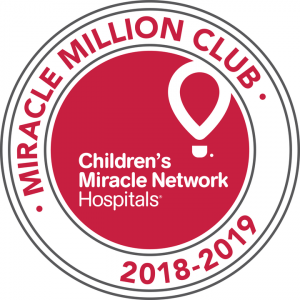 Casey’s General Store believes in giving back to the communities where they operate and has been a proud supporter of Children’s Miracle Network Hospitals since 2014. Each year in February, Casey’s hosts an annual fundraising campaign by selling Miracle Balloons at registers in their stores. 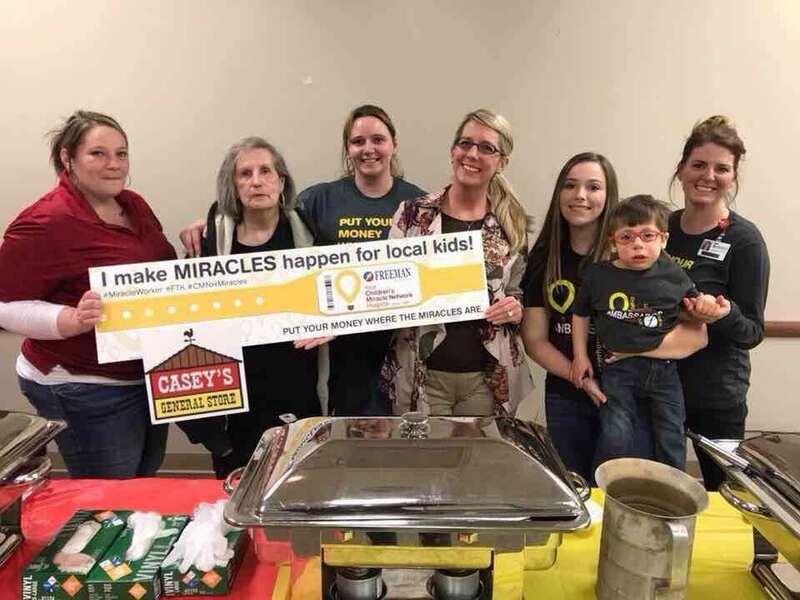 During their 2018 campaign, Casey’s associates and customers raised more than $1.1M for 27 local Children’s Miracle Network Hospitals. 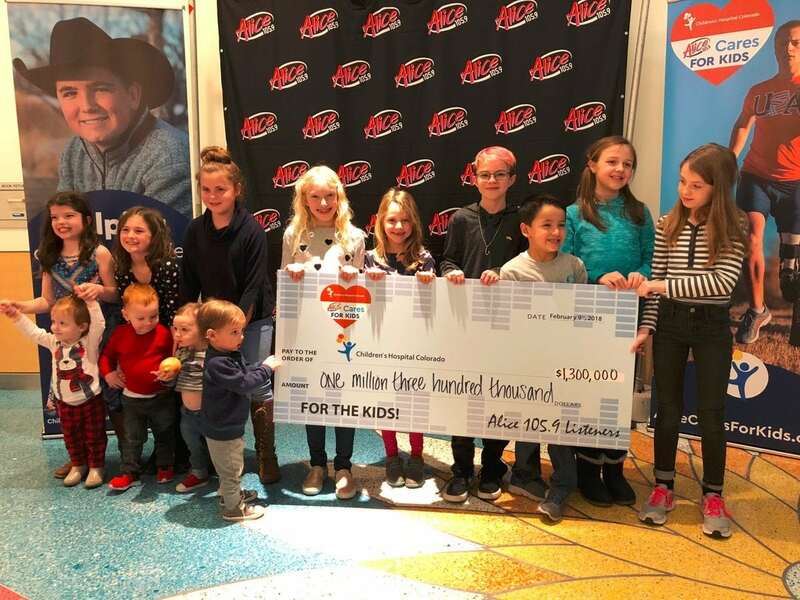 America’s credit unions, fundraising under the Credit Unions for Kids brand, surpassed the $1M mark in early March, which was highlighted by the CU4Kids Wine Auction. 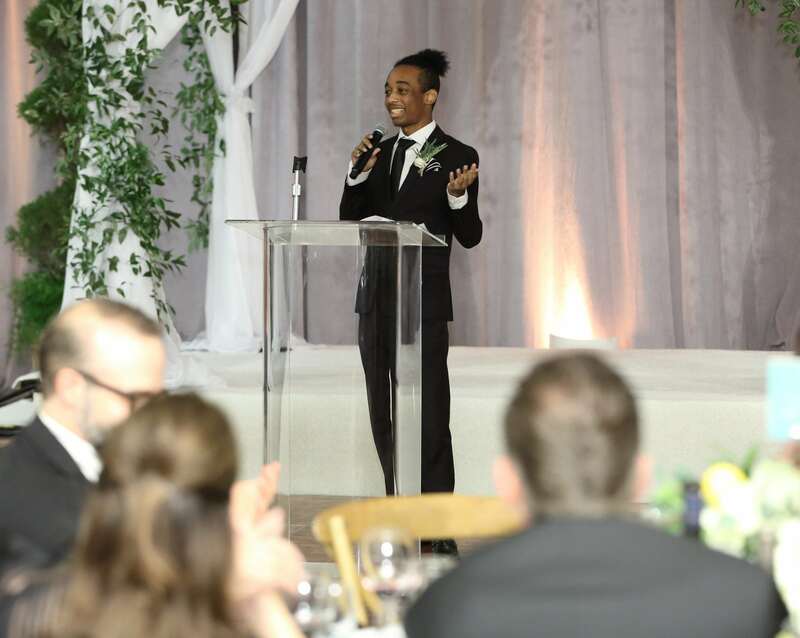 Benefiting the 11 CMN Hospitals in California and Nevada, the event raised a record $1.3M. Other activities throughout the country adding to the overall total included icon campaigns, change drives and jeans days. Listeners of Denver’s Alice 105.9 (KALC-FM) have come through again, giving our community over one million reasons to be grateful. The two-day, 24-hour marathon broadcast has come to a close, with $1,300,000 being raised to help Children’s Hospital Colorado! Entercom stations KALC, WBMX, and WWMX have had incredible success at their CMN Hospitals Radiothons. Denver, Boston and Baltimore markets, combined together, have raised $2,922,921 for the kids at their local Children’s Hospitals! 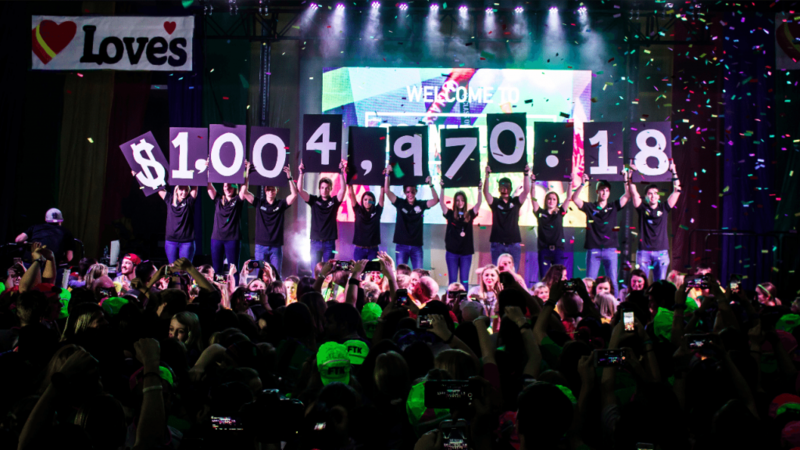 University of Iowa Dance Marathon (UIDM) has once again proven to be a premiere Miracle Network Dance Marathon program by raising an unbelievable $3,001,015.24 in 2018. Throughout their year-long campaign they had many highlights, a few which include: raising over $400,000 in ONE day for their ‘Day to DM’, raising thousands of dollars by having participants run the Chicago Marathon, emphasizing inclusivity and diversity by engaging all campus areas, and restructuring the leadership team to focus on stewarding all of their partners. On March 3, 2018, University of Oklahoma’s Soonerthon unified their campus and broke records by raising $1,004,970.18 for the kids who are served by Children’s Hospital Foundation in Oklahoma City. 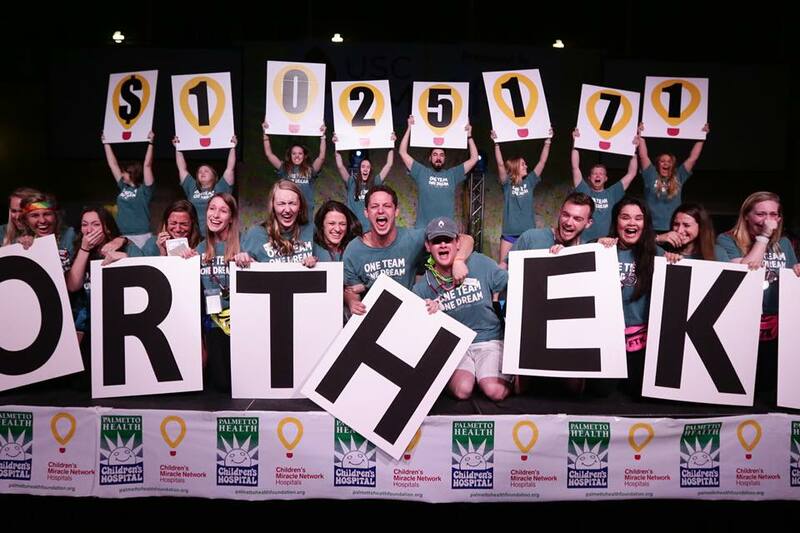 After raising $808K the year prior, Soonerthon experienced nearly 25% growth. 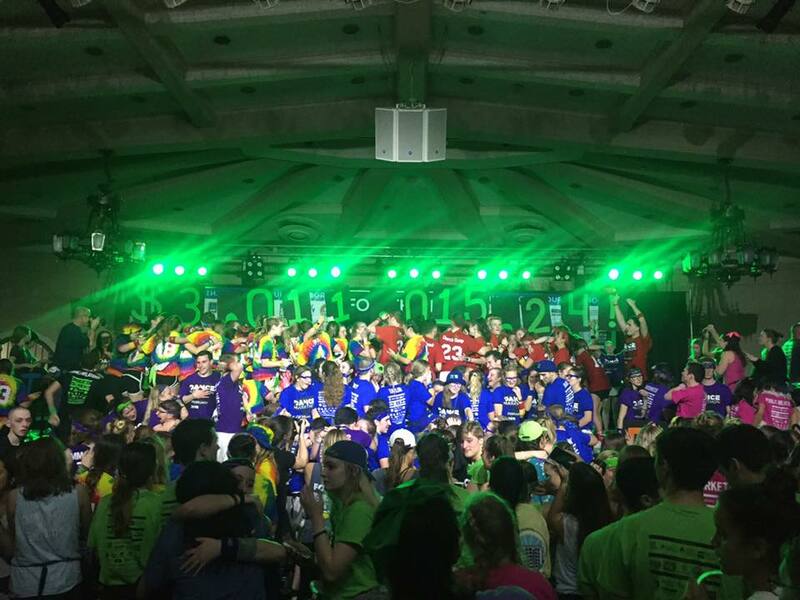 With a focus on education of the cause and dancer communication, Soonerthon brought to life their theme of “celebration” this year! Over 3,000 students were registered for this monumental event and were a part of the outstanding year-round efforts, which included Soonerthon’s fundraising push day which raised $123K within 24 hours, as well as their activation on Child Health Day welcoming over 800 participants to their movement! We are excited to induct Soonerthon to the Miracle Million Club and look forward to seeing the impact they continue to make on their community and the Miracle Network Dance Marathon community! Twenty years and over $1 million reasons to dance. Over the past 20 years, University of South Carolina has worked tirelessly to raise funds for Palmetto Health Children’s Hospital, their local CMN Hospital. After breaking over $703,000 last year, the aimed to do something bold–they were committed to raising one million. Before the event even started, the South Carolina State Legislature honored USC Dance Marathon for 20 years of fundraising for Palmetto Health Children’s Hospital in Columbia, South Carolina. The focus this year was The Power of One. In every endeavor, they wanted to show that when ONE campus comes together for ONE common cause, they can make ONE very big impact on their communities. This resulted in blowing their one million dollar goal out of the water. This showed the power of even one individual spending their Saturday on their feet for 14 hours can result in an everlasting impact.